Psarra, A. 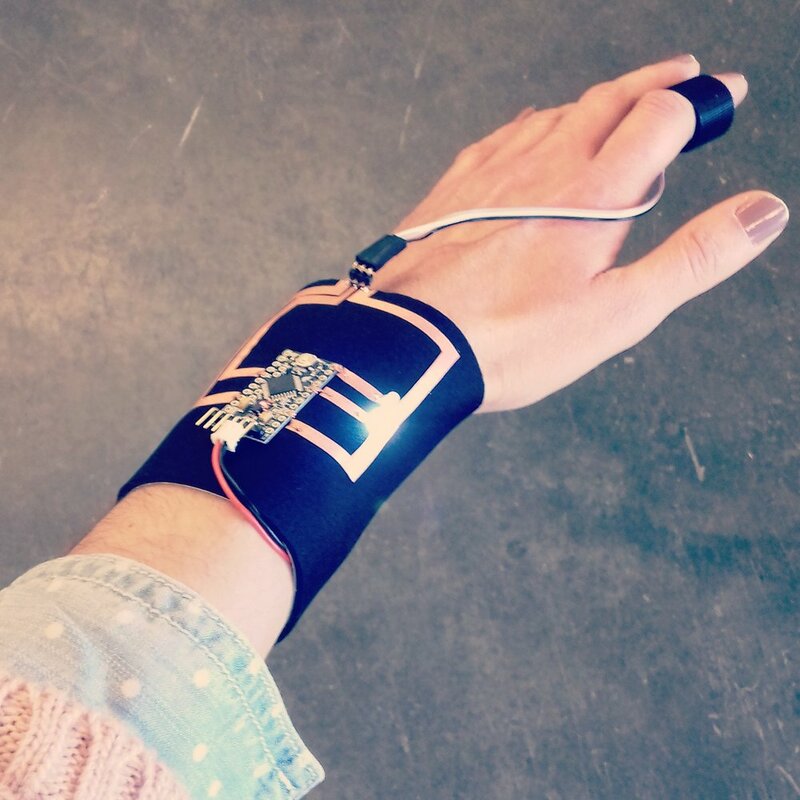 & Lapoire, C.
Cosmic Bitcasting: A wearable Cosmic Ray Detector. Proceedings of the 2017 ACM International Symposium on Wearable Computers (ISWC), Maui, Hawaii, September 12-14, ACM New York, USA. Benabdallah G. & Rosenthal J.
IBPoet: An Interactive and Biosensitive Poetry Composition Device. Proceedings of the 2017 UbiComp (ACM Ubiquitous Computing conference), Maui, Hawaii on September 11-15, ACM New York, USA. Koutsomichalis, M. & Psarra, A. Computer-aided weaving: from numerical data to algorithmic textiles. Proceedings of the 2015 Electronic Visualisation & the Arts (EVA) Conference, London, GB, July 8-10, pp. 122-123. Koutsomichalis, M. Psarra, A. & Varela, M.
Oiko-nomic threads. Proceedings of the 2014 ACM International Symposium on Wearable Computers (ISWC), Seattle, USA, September 13-17, ACM New York, USA, pp 59-64. (In)visible Light Communication: Combining Illumination and Communication. Proceedings of the ACM SIGGRAPH 2014 Emerging Technologies Conference, Vancouver, Canada, August 10-14, ACM New York, USA, Article No. 13. Koutsomichalis, M. Psarra, A. & Varela M.
Oiko-nomic Threads. Subtle Technologies, Open Culture: Participatory Practices in Art & Science Conference, May 20-31, Toronto, Canada. Papageorgiou, A. & Psarra, A.
Haptic City, A Workshop Based Project. Proceedings of the 2013 Hybrid City II: Subtle Revolutions Conference, May 22-25, Athens, Greece, University Research Institute of Applied Communication, pp. 466.